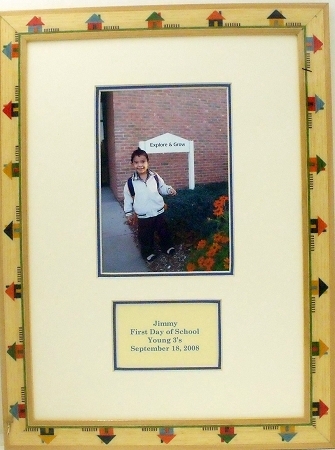 Schoolhouse inlay solid wood frame with a double mat and mounting board. 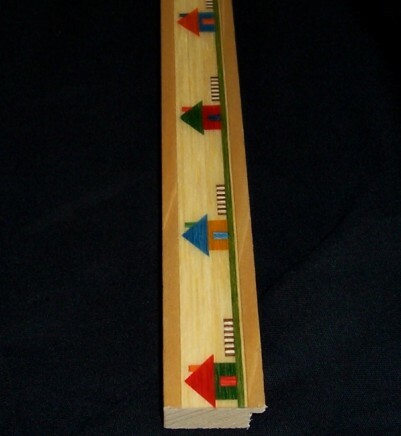 This frame holds a 5 x 7 photo and an opening 4 x 2 1/2 for a personalized message. Paper for message is included. Top mat is creme with a blue bottom mat. Great frame for those special school photos.